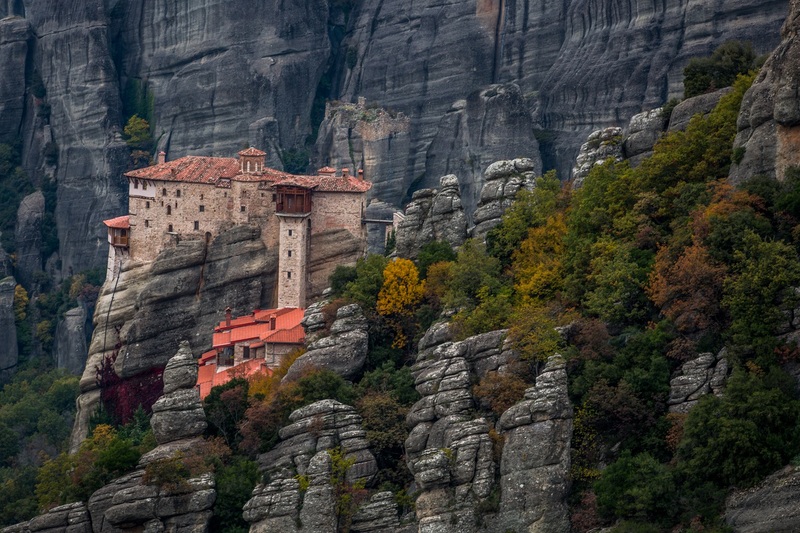 Our trip starts from Athens, with the first stop in Meteora, literally meaning "suspended in the air". 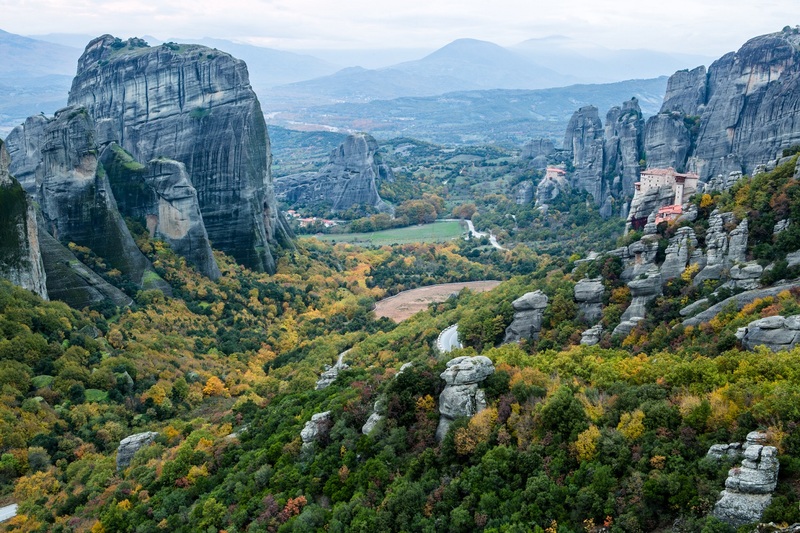 Meteora are the world famous stunning rock pillars that rise impressively above the plain of Thessaly. The monasteries built by monks six hundred years ago on the top of these rocks, create a unique synthesis of nature and man. Moving further North, entering the Epirus region, you'll discover the magnificent 12-km-long Vikos Gorge, one of the world's deepest. A national park filled with forests, waterfalls and ice-cold mountain lakes, surrounded by the Zagorohoria, immaculate stone villages. They constitute an entity of 46 villages with clear geographic boundaries and definite historic and cultural characteristics. It's easy to see why the Zagorians have been keeping Zagori a secret from the world for so long. Often referred to as the cradle of Western civilization, Athens has been continually occupied by people for the last 7,000 years. You can't move without bumping into an ancient ruin or building, which evokes imagery of the Greek gods or the thoughts of their philosophers. In the afternoon we meet at our hotel for an introductory talk and after a walk around Plaka, the oldest neighborhood of Athens, have our first dinner together in a traditional restaurant. Of course Greek cuisine plays a starring role and we have spent many hours digesting countless delicacies during the research of this important aspect. In the morning you will depart from Athens in the direction of Meteora and you are not likely to forget the first moment the rock pinnacles come into view. The rock formations of Meteora are an extraordinary unique phenomenon and the best way to appreciate the power of the natural forces that shaped this breathtaking landscape is walking right into it. Fantastic manifestations of geological history and current processes of nature await you around every bend or rise in the trail. Start from the village of Kastraki, which lies at the bottom of the rocks and hike up towards the monasteries. They represent a unique artistic achievement and are one of the most powerful examples of the architectural transformation of a site into a place of retreat, meditation and prayer. A testament to the harmonious coexistence of man and nature. We leave the escarpments and rock towers of Meteora to transfer to the Zagori, a region of pristine rivers, wild mountains, and isolated stone villages. On the way we stop in the picturesque town of Ioannina which sits on the shores of Lake Pamvotis. Originally Hellenistic, the town flourished in the late Byzantine period (13th–15th centuries) and finally surrendered to the Ottomans in 1430. Ioannina was ceded to Greece in 1913 following the Balkan Wars. The result is an intriguing mix of Ottoman and Greek Enlightenment architecture. We visit a fascinating small museum located in the castle that is dedicated to the silversmithing tradition in the region of Epirus. Believe us, it’s cool! After lunch, the final 1-hour transfer into the mountains to the charming village of Dilofo. The 46 villages of Zagori are home to stone-built mansions topped off with smart slate roofs which were built by wealthy merchants in the 18th and 19th centuries. 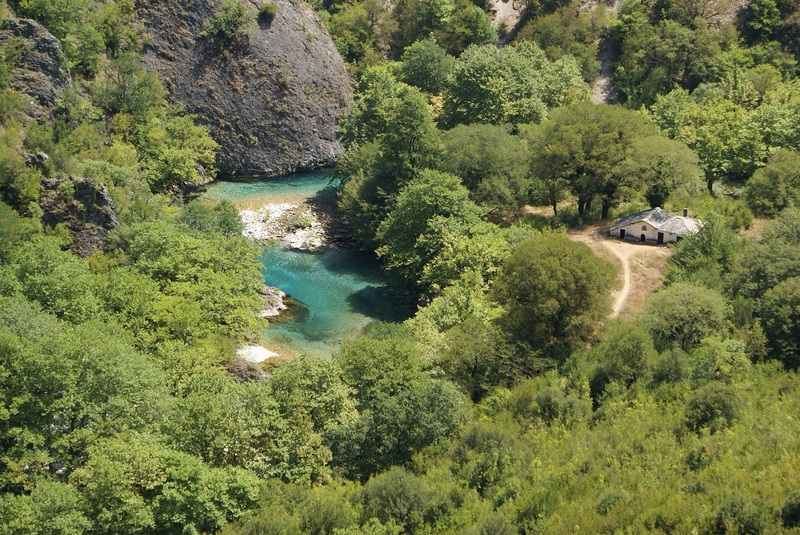 Dilofo is one of the most beautiful and best preserved of the villages of Zagori. It sits at 880 meters, so the evenings are fresh, even in summer. We check into our lovely boutique hotel which is a restored village mansion house. We then stretch our legs with a late afternoon hike to the neighboring village of Vitsa where we have a superb dinner in a special restaurant. This morning we have a scenic 20 minute drive to the start of our walk that takes us up to the delightful village of Tsepevolo where you enjoy a morning coffee break. Then it is a wonderful Alpine hike that takes you to the tiny village of Vradeto, at 1340m/4,230ft the highest village in the region. We lunch here, prepared by our friend Labros. Wait till you see his kitchen! Located in the heart of Central Zagori, Koukouli has been throughout time one of most significant villages of the area. Five amazing stone bridges connect it with the surrounding villages. 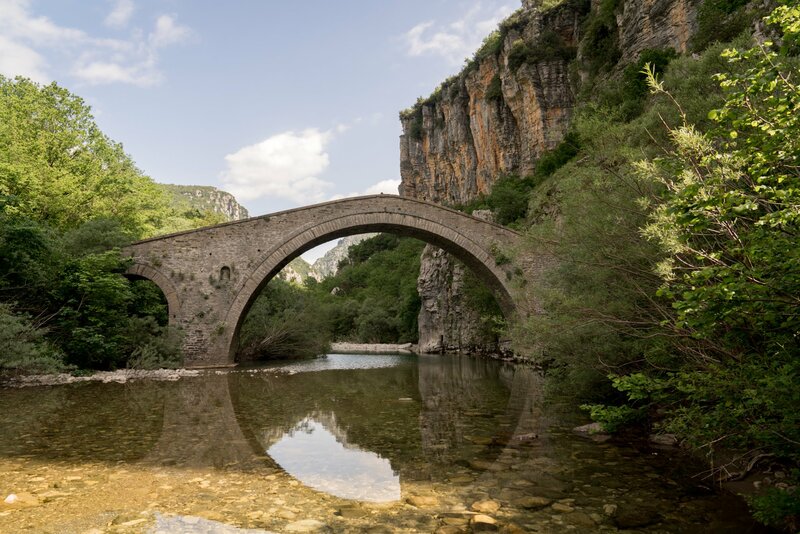 The bridges are strategically located in the area ensuring their continuous usage, as the rivers of Zagori are quite often impassable during the winter and the road network is quite recent. Built centuries ago by the craftsmen of their time, the bridges are preserved in an excellent condition, reminders of the capabilities and imagination of those people. In a 4-hour-round trip you will have the opportunity to admire each one of them from all perspectives. Today you will raft the Voidomatis river, characterized as one of the cleanest rivers in Europe as it does not face any acute environmental threats. The river is panned by a number of stone bridges, the most famous being the Kleidonas Bridge, whereby the rafting ends. Later on ascend the ribboning northern road to Megalo Papigo. 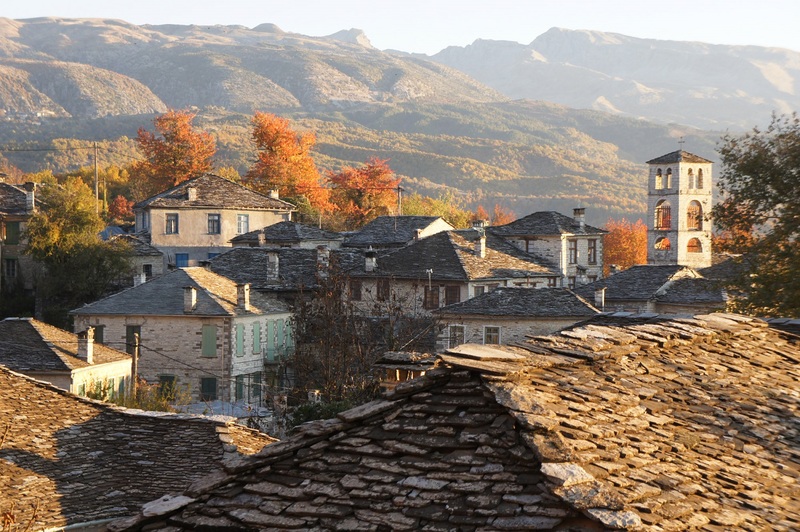 The village is densely built, with numerous stone houses and enclosed courtyards typical for Zagori villages. Before dinner we will stroll on the cobblestone alleys of Megalo Papigo village, which due to its preserved original state is declared as traditional settlement. 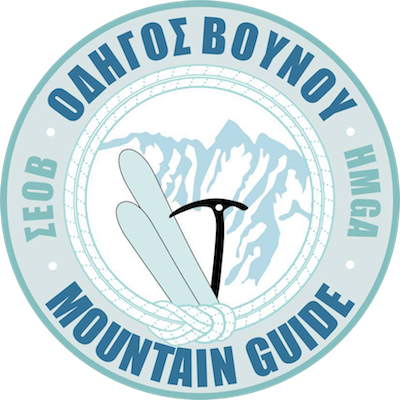 In the afternoon we will transfer to Ano Kleidonia to hike the path that connects it with Megalo Papigo, with great views to the valley and Astraka towers above us. There is a timeless quality to Zagori, which may be due to its inaccessibility for so many years. 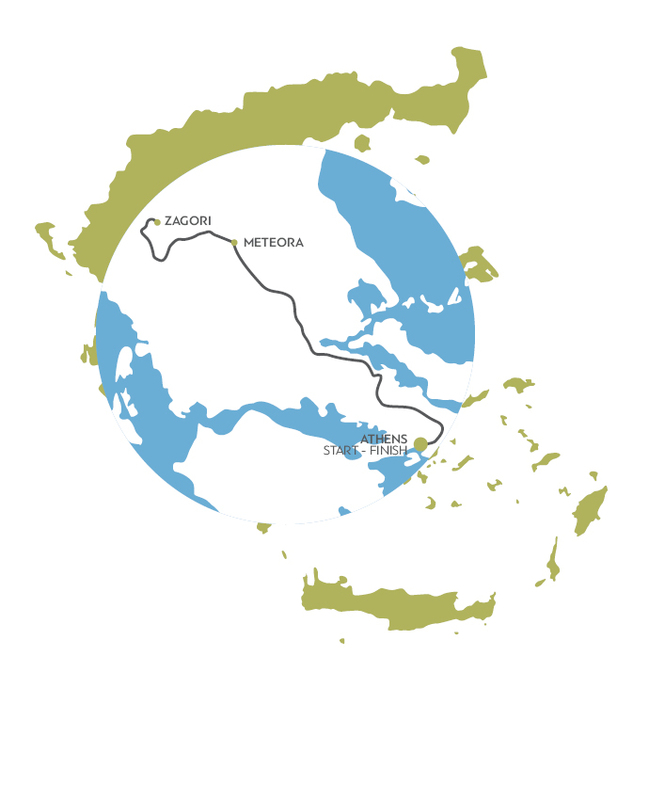 Whichever country has claimed this territory as its own over the centuries, Zagorians have held on to their identity and traditions. In the 17th and 18th centuries, the villages were prosperous staging posts for Ottoman traders, and the paths they travelled are now ideal for hiking: routes between villages range from under two hours to all-day treks. Today grab the opportunity to realize one of them. From Megalo Papigo hike towards its little brother, Mikro Papigo, and from there towards the springs of Voidomatis river. The rewarding hike ends at the village of Vikos where you can regain your strength with a hearty lunch. In the afternoon slow down and use your free time to rid yourself of any remaining traces of stress after a therapeutic week in the mountains. Nature after all is the best physician. 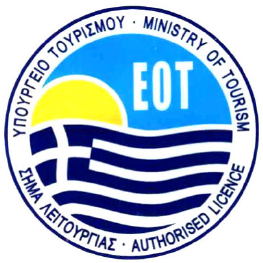 Today there will be a morning transfer to the airport of Ioannina where you can catch a morning flight to the international airport of Athens for return flights home or continue exploring one of Europe’s oldest cities. We are constantly updating our unique itineraries based on new information and experiences available. The walks, accommodations, and visits listed may be adjusted. 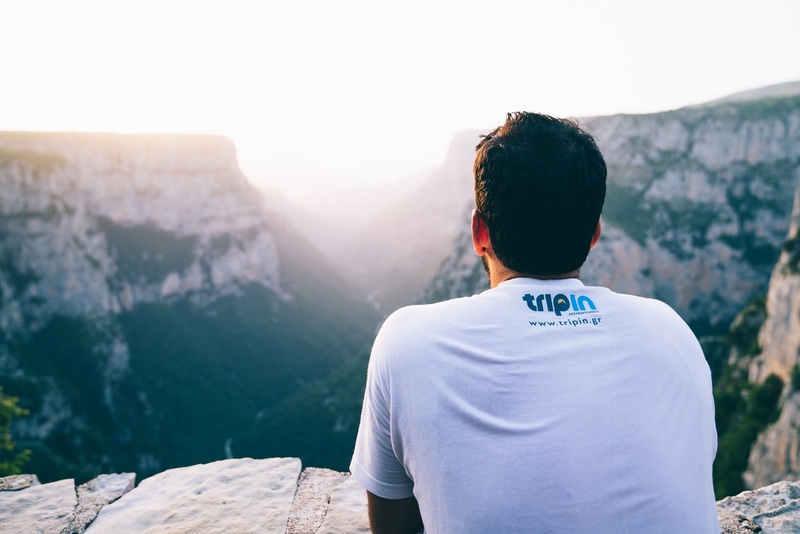 The itineraries presented are subject to modification and change by Tripin Adventures. 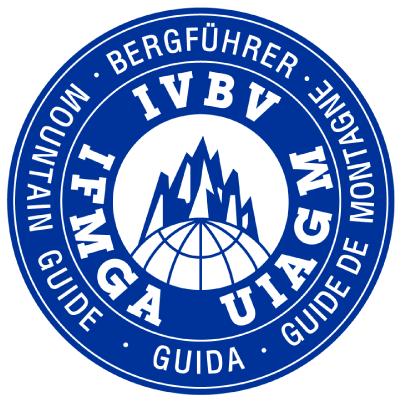 We reserve the right, without penalty, to make changes in the published itinerary whenever, in our judgment, conditions warrant, or if we deem it necessary for the comfort, convenience, or safety of participants, anything not mentioned in above program. Want an in-depth insight into this trip? - pretty much everything you need to know about this adventure and more. Request a reservation for this trip or build your own.